The innovative pool cover COVREX by REHAU meets the highest demands through its sophisticated design and outstanding material properties. The foamed design of the pool cover provides optimum conditions for buoyancy and carrying capacity. Through the end-capless processing, we can also perfectly cover asymmetrical shapes. Combined with years of experience and reliable partners, we are able to offer a complete solution for this type of roll protection cover for other pool variants as well. 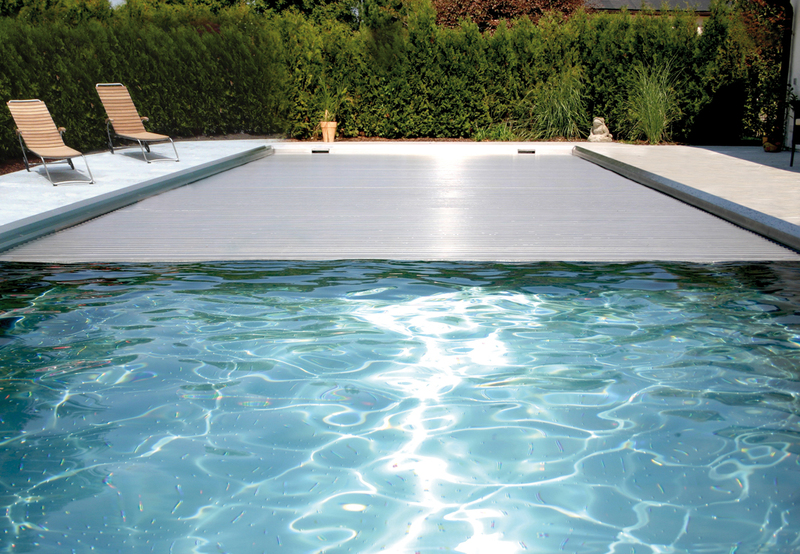 A proven containment of energy loss, especially in the transition periods, guarantees an extension of the pool season and this in an unrivaled shapely and color-matched design. Of course, the classic form of floating pool covers with hollow section profiles is also part of our program. In different colors and versions, out of PVC or polycarbonate. 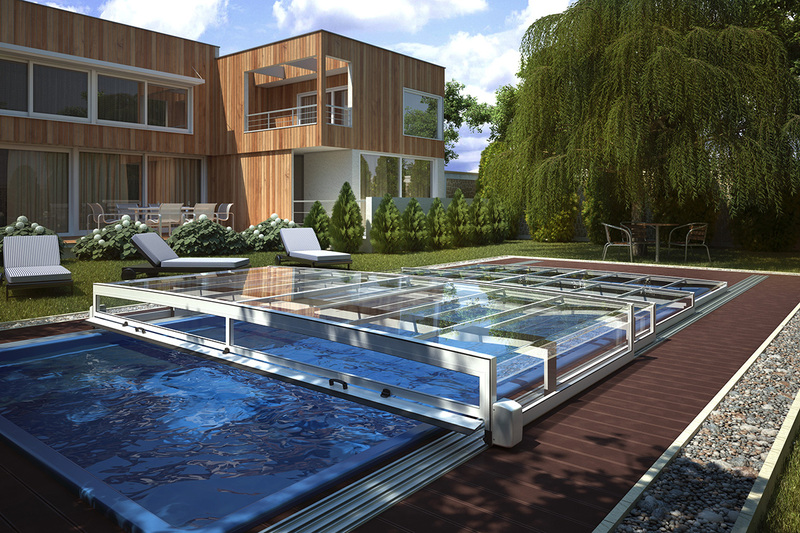 Also here we offer a complete solution to cover your swimming pool. Based on perfect workmanship and professional bonding of the end caps, these profiles, especially in the "solar" versions, offer an additional advantage in heat recovery for operating a swimming pool. 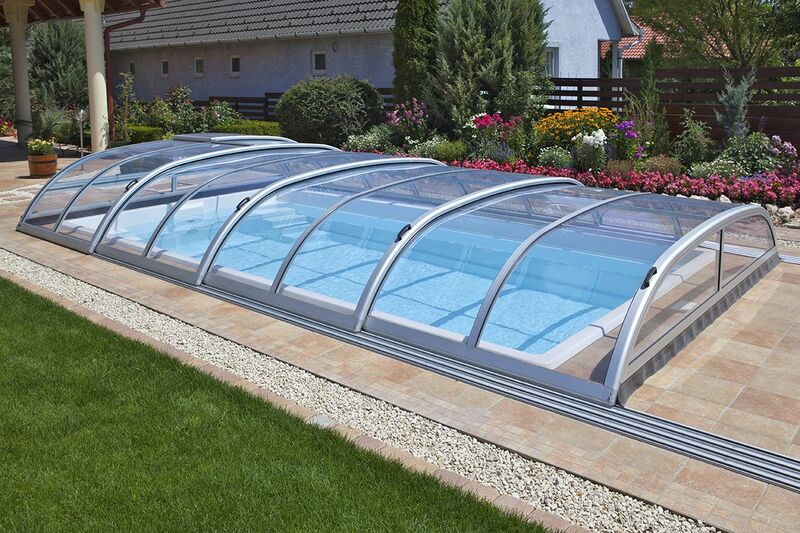 Our pool enclosures give your garden a very special flair. Choose from 25 different models and systems for your individual roofing. From the large, statically optimized pool roof to the extra-flat, elegant sliding roof. 25 years of experience in the construction of pool enclosures by our partner are a guarantee for maintaining a sustainably well-functioning product. Adapted to your desires you extend the pool season. The use of high-quality components as well as polycarbonate panes with a thickness of 4 mm stand as a feature for a fair price-performance ratio and sustainability. Customization in size, shape and color are of course a basic requirement here as well.